Your corporate email is a vital repository of critical business information. In the age of the cloud and mobility, empowering users accessing that information quickly and efficiently can’t be an afterthought. 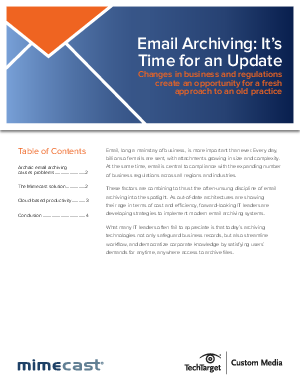 You may think you can get by with your old email archive, but your organization and your employees will suffer without the latest technology.